Did you love all the samples of the new No Place Like Home Card Kit that you saw yesterday? There were so many fantastic samples! The new card kit will be available Tuesday, January 24 at 9:00pm EST. Be sure you don't miss out on this one! For my card today I decided to have a little fun and create with just three colours, Blu Raspberry, Blueberry, and Kraft. It's a little wonky, but I love it! Those blues are so vibrant ... what a stand-out card! Julie--Great card! I love the blues! 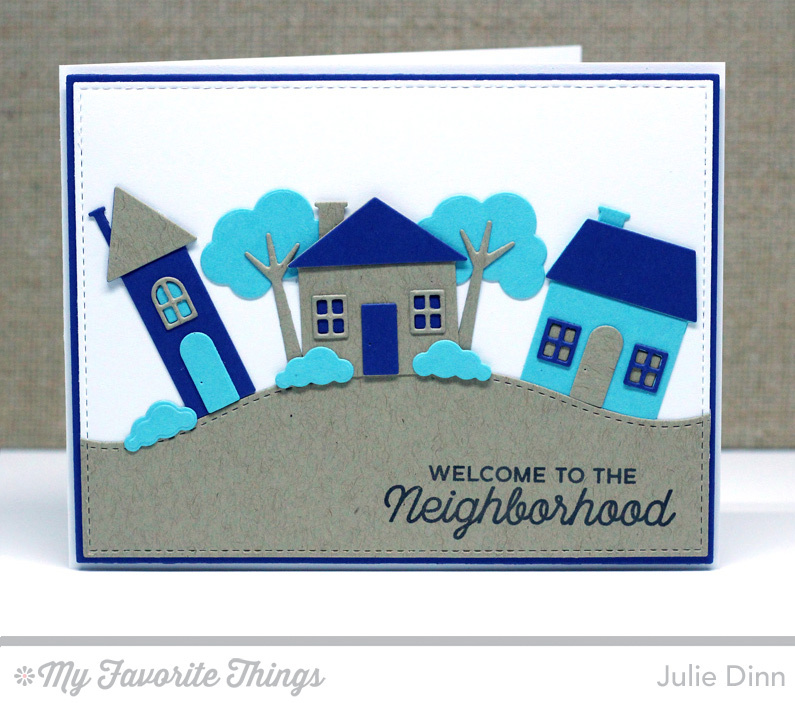 Great looking card...I love the rolling curvy hill for the bright houses! What unique colors. I love this and would never think of using these colors but I like them.